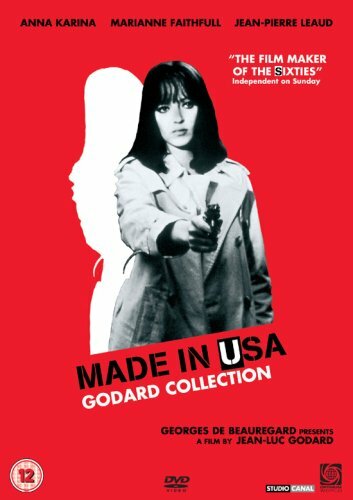 Jean-Luc Godard pays homage to the gangster movies of American directors Nicholas Ray and Samuel Fuller with this comic book-influenced crime thriller. Jean-Luc Godard pays homage to the gangster movies of American directors Nicholas Ray and Samuel Fuller with this comic book-influenced crime thriller. A journalist, Paula Nelson (Anna Karina) arrives in Atlantic City, France, in search of her missing ex-lover. She soon discovers that he has been murdered by an unknown assassin, and begins to suspect that he was involved in some political intrigue. In her quest to uncover the truth, she meets a sequence of shady characters from gun-toting gangsters to corrupt police officers. A journalist, Paula Nelson (Anna Karina) arrives in Atlantic City, France, in search of her missing ex-lover. She soon discovers that he has been murdered by an unknown assassin, and begins to suspect that he was involved in some political intrigue. In her quest to uncover the truth, she meets a sequence of shady characters from gun-toting gangsters to corrupt police officers.